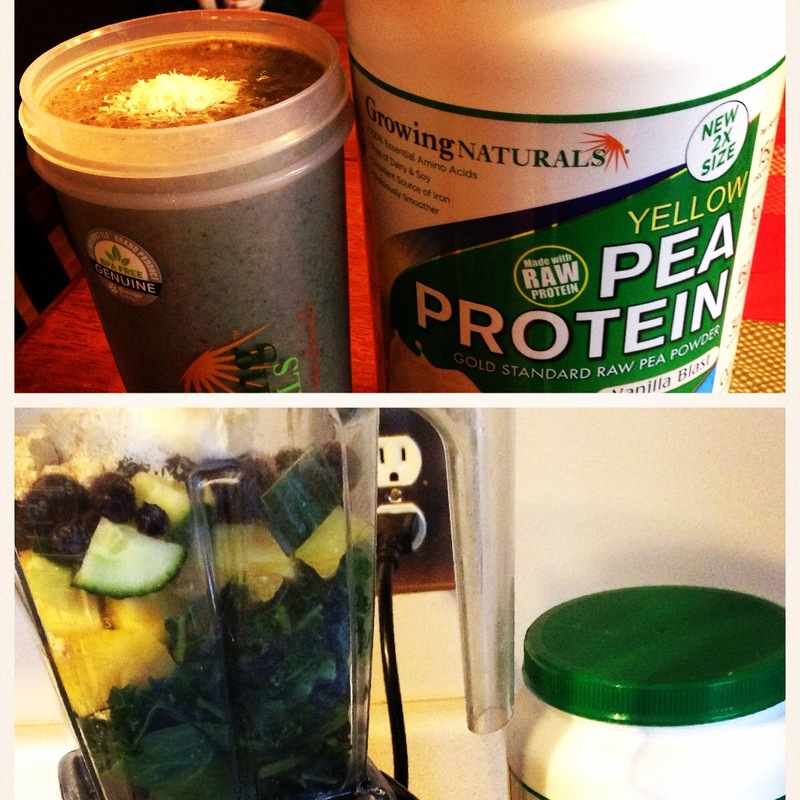 the pea protein is an amzing source of iron…30% of your daily value in one scoop! nice! 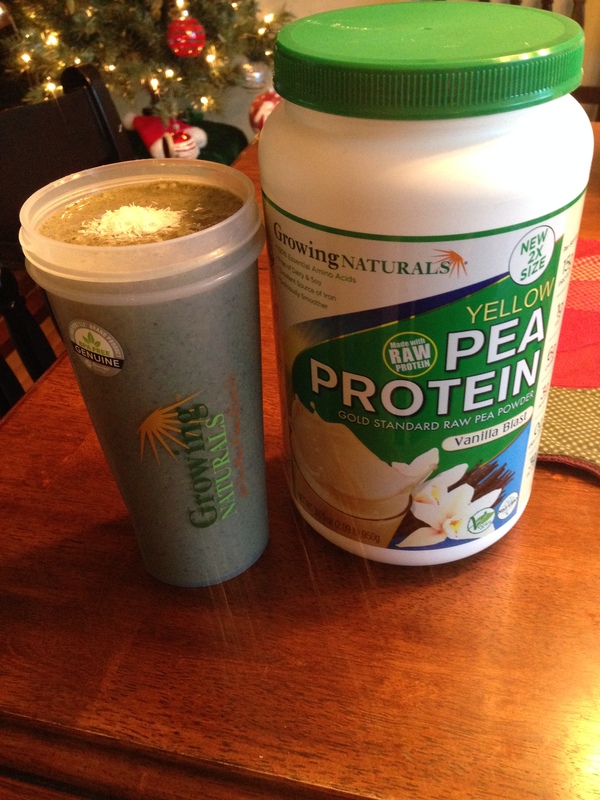 Now lets get down to taste…the vanilla blast pea protein tastes like cake batter to me, It can stand alone in a shaker bottle mixed only with water or almond milk and still taste just great. I have done this many times on the run. More often I choose to use it in protein shakes/smoothies with other ingredients but I have had many protein powders in the past that cannot stand alone in a shaker bottle on their own. The vanilla really pops in this product and it has a great texture too. I have been using it for abut 3 years now and it has helped me achieve new muscle growth,and great recovery. I literally look forward to making shakes with it. Here is one I just recently made if you are looking to get more fat burning fiber rich foods into your life then this is an excellent snack or breakfast shake to treat your body to! Next 2015 is Here to Stay: January News!